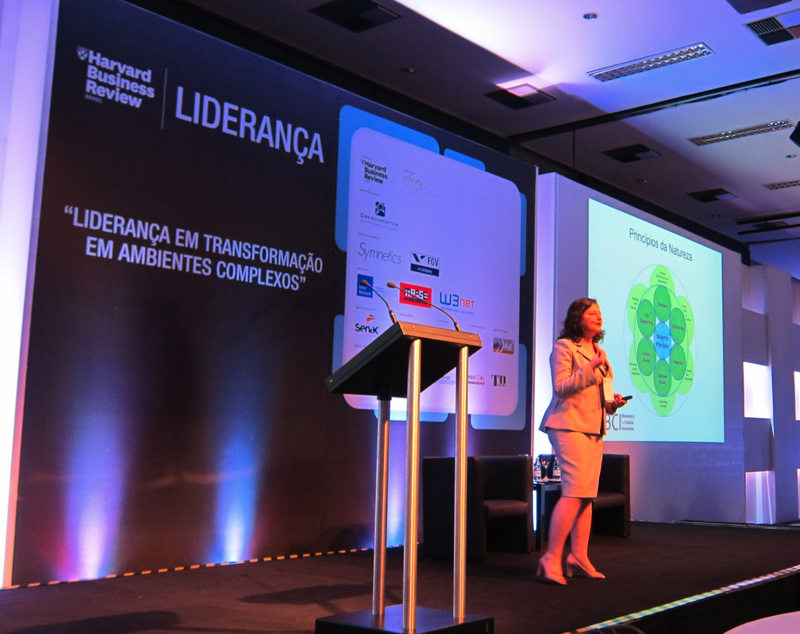 Yesterday I was a guest of both Harvard Business Review Brasil and Infinity Conferences who were hosting their first event on the transformation of leadership in complex environments. This event has come at a historical moment in Brazil, one where many thousands of people have been peacefully taking to the streets to send a strong message to their own leaders regarding the lack of education, security, health, corruption and economic mismanagement. President Dilma in an extremely symbolic moment was roundly booed at the start of the Confederations Cup, a moment which was broadcast around the world and which became the trending topic that moment on Twitter. I was absolutely delighted to be at this event especially as it was so in tune with two themes so close to my own heart; transformation and complexity. His talk was really interesting for me when he discussed his research in India and China. In India, although society is extremely hierarchical, there is a huge amount of investment in employees. He continued talking about India in the “talk show” panel session, pointing out how when a US company does well, it is the CEO who is on the cover of business magazines. In India, CEOs do not talk about themselves or the leadership team, but rather saw competencies as coming from within. He also mentioned “jugaad” which is a Hindi term which refers to the creativity of the India people in finding workarounds to get through commercial, logistical, or legal issues. This seems to be quite similar to the jeitinho brasileiro (the Brazilian way) which also in a positive sense refers to the ingenuity of the people here facing daily challenges, complex bureaucracy with extremely limited resources but which also has emotional and not-always-legal aspects too. In China the culture is one where so long as people are honest, they have security. The assumption is that everyone is telling the truth since they have security. There is transparency but China do not develop leaders well. Peter did not mention any research relating to Brazil, but it seems that Chinese culture is almost the opposite to the culture in Brazil, where only 6% of people have trust and confidence in others, and it causes great problems in many aspects of business and social life here.What was extremely surprising to me was Peter’s observation on Generation Y and the Millennials. Peter specifically stated that any research relating to this new generation are “fake” and that it is a “consultancy thing”. The problems organisations now face with Gen Y are the same problems organisations have always faced, since a 22 year old today is no different to a 22 year old 10 or 20 years ago. I have already written about the new thinking from the new generation of entrepreneurs which Robert Safian from Fast Company terms Generation Flux (The Blind Spot of Generation Flux) and in a recent talk in Joinville I discussed the research of Gary Hamel with members of the Brazilian Association of HR Professionals, all of whom recognised the new context and challenges relating to millennials (Why people in HR need to become masters of complexity and chaos). A big problem is the costs of training young people, only to have them leave the company for a higher salary elsewhere. The solution for Peter was to ensure that the employee shares the costs of training with the company, but I would say that there are many other aspects that an organisation can look at as well, which I will come to when discussing Maria’s presentation. Peter’s talk was followed by Anthony Mayo, Senior Lecturer of Business Administration in the Organizational Behavior Unit of Harvard Business School who spoke about Contextual Intelligence and Emotional Intelligence. What was interesting in this talk was his observation that the higher up a person is in an organisation the less they can accurately see reality since they are less self-aware. The leadership are less likely to have people disagreeing with them or giving them feedback, and they have no one above them to coach or guide them. The next trait in which they lack is empathy, unable to understand the point of view of others, and they are more likely to be “political animals”. During the panel session I asked a question regarding EQ, since in Brazil there is a marked national characteristic of emotion here, so what can Brazil learn from his research. Anthony did not see any specific differences between Brazil and other cultures or countries in relation to emotion, and that emotional people were asking for attention. Two strategies were to downplay the problem and then to look at solving it jointly. Building on this theme when answering another question Anthony observed that it is no easy talk to ask an emotional person to take a step back from a situation, and that it is important to look at what kinds of behaviour are accepted in the organisational culture. Her emphasis was on showing that it is possible to create a more organic, authentic and legitimate model of leadership focussed on meaning and purpose.Focussing first on recent history, sensemaking and reality, maria took us through the non-linear change we are now experiencing, a rate of change that our linear minds and mental models are no longer able to cope with. These tied in well with what was discussed in the morning in terms of the challenges of contextual and emotional intelligence. To finish with Maria discussed the importance of dialogue as the key solution to complex problems. 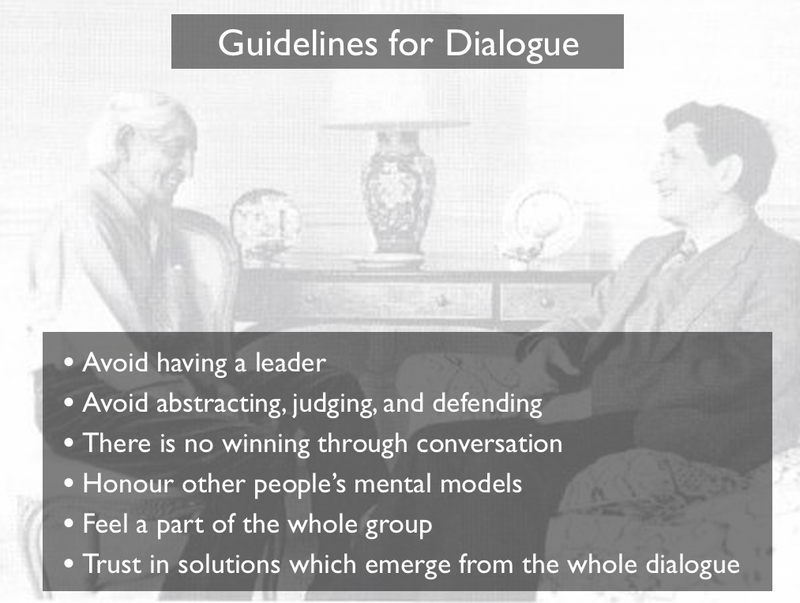 Her inspiration comes from David Bohm, and Maria summarised some of the key guidelines for what Bohm conceived as good dialogue. I teach dialogue at Sustentare Business School, but I have two days to take students through a deep learning journey, so that they can comprehend just what a difficult skill true dialogue actually is while also appreciating just how important dialogue is for the solution to problems but also as a tool for unlocking collective creativity. It was interesting therefore to then take part in an in-depth case study facilitated by Alexandre Santille, the President of LabSSJ. In this case study we discussed training solutions for executives such as networking, feedback, influencing, co-operating and empathy etc, and it was clear that ego also played a large role in the problems facing the organisation being analysed. I think for me one of the main points is that ego is one of the most difficult issues for a person who is trapped in ego to recognise. We therefore have to work with people first on the recognition of the problem, which for me is a very significant part of the solution, which can then flow and be implemented with far less difficulty. Situations which lead us to really being able to see our own patterns of behaviour can be surprising, such as working with clay as one executive discovered at Schumacher College (Can a 10 kg lump of clay help us see better than Google’s new glasses?). Following the case study came Mauro Mercadante, Director of Development Projects at LabsSSJ who gave us a short overview of the research which LabsSSJ has undertaken on young people and their first experiences in management. This was extremely important as this research provided delegates with the Brazilian perspective relating to the challenges of developing leaders and retaining talent in a developing economy which is experiencing both growth but also growing pains too. 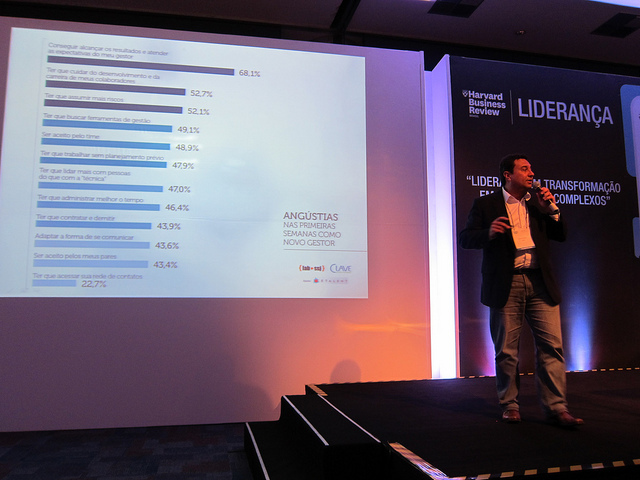 This presentation was then followed by a second workshop facilitated by Arthur Diniz and Paulo Alvarenga, both founders of Crescimentum, a Brazilian company focussing on developing high performance in business leaders. I now need to offer some of additional reflections on the day. I have two challenges in that I was both a guest of Harvard Business Review and also Maria was both presenting and a lead sponsor. It would therefore be easy for me to finish the article here but I do feel I have some important observations to make with my British and European perspective. 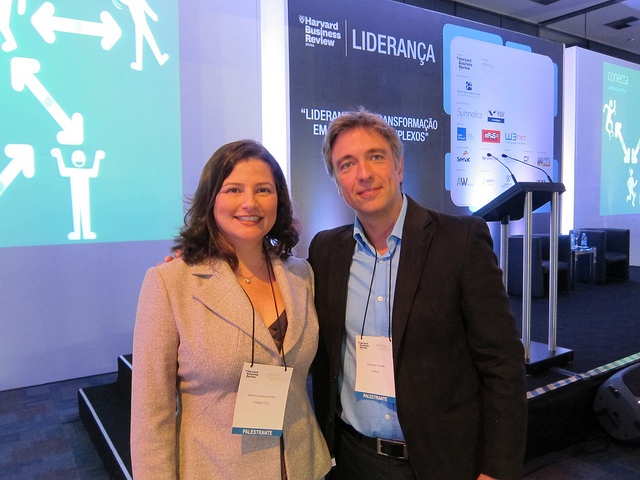 I have previously been a guest of Harvard Business Review at their groundbreaking event on Bioeconomics, and in reviewing that event I both criticised Juan Enriquez, the American keynote speaker but also praised the Brazilian perspectives from Pedro Passos from Natura (Brazil’s first forum on Bioeconomics). I did though receive praise for this report from Harvard Business Review, and as I always try to do, I offer comments which are designed to be constructive and valuable to my readership here at Transition Consciousness. 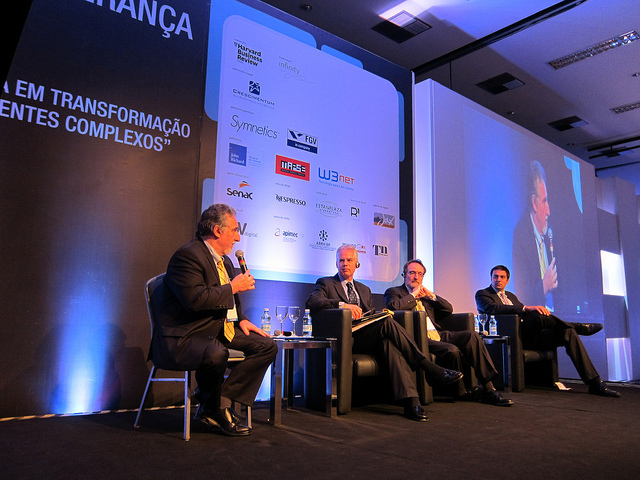 In this event on leadership I saw very similar parallels with the Bioeconomics summit. Juan Enriquez began his keynote by really emphsising just how much money Brazilian entrepreneurs could make from biotechnology, and Peter Capelli jumped in with a startlingly crass slide with the single slogan “It’s all about the money” – just that – “It’s all about the money.” I think Maria should really be congratulated for taking the discussion to a much higher and inspiring level, where purpose and vision are paramount, showing some great examples of organic and authentic leadership. One thing I see a lot in Brazil is a large number of Americans coming here to lecture and speak, but with no acknowledgement or understanding at all of the Brazilian content or culture, and again I think that this was the case in the morning. 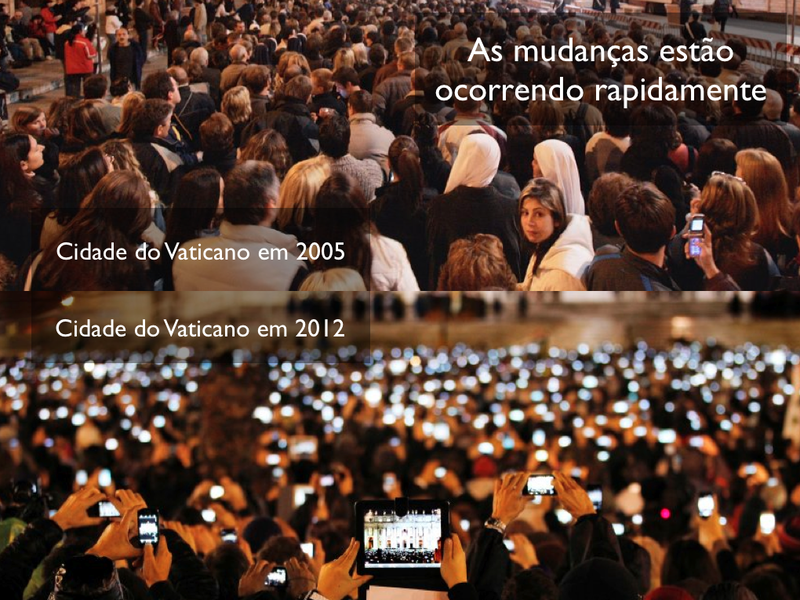 I think though that maybe the adoration of all things US is slowly fading, and in fact it was Peter himself who said in an unguarded moment during the panel session that in fact although he had presented a very US-centric model of leadership, this probably is not what Brazil should be copying. “Brazil is already competitive and should not always look to the US for models of leadership as it has a lot to lose”. In the panel session Marcelo Monteiro de Miranda, President of Precon Engenharia spoke about both how his company had to pivot their strategy rapidly to focus on both housing for low income families (a huge problem here in Brazil) and also his pride on reducing waste on this type of construction from 7 tons down to 1 ton (and they are still looking at how to reduce this waste further). 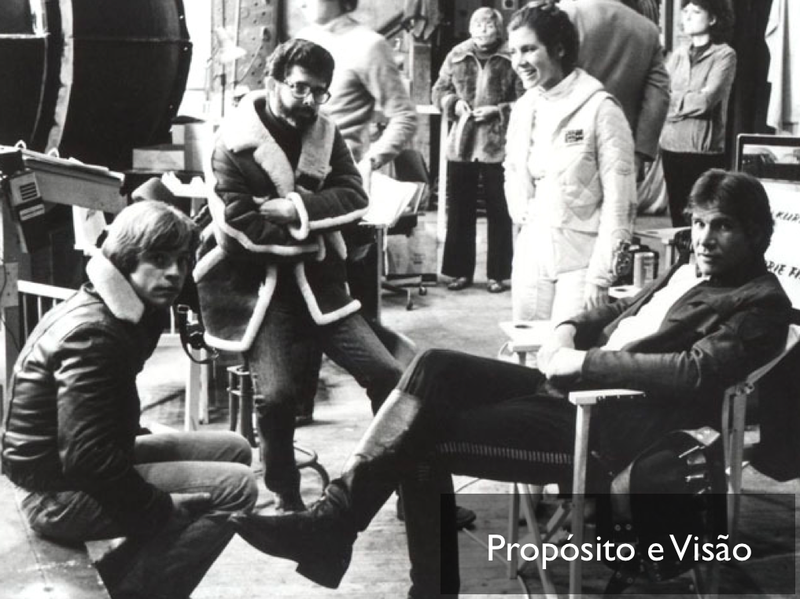 Of course there were certainly many interesting aspects to the talks by Peter and Anthony, but I felt there was nothing there to truly inspire me, there was nothing there which recognised the new realities we are living in. Their approach and style was much drier than say more visionary thinkers I follow such as Gary Hamel, Alan Moore, Giles Hutchins, and visionary organisations such as Sparks and Honey, Holacracy, and Obvious. I would also though like to recognise the vision of Harvard Business Review and Infinity Conferences in having Maria speak since she was the only woman presenting today on leadership, and it was great to see her own philosophy and vision of leadership which is steeped in purpose human values recognised, also by the many delegates who were taking many photos of her slides. Overall it was yet another fascinating day the full meaning of which could only really be comprehended and understood as a whole at the very end. There were some very interesting threads which although not explicitly drawn out were very apparent to me throughout the day and these were the themes which was so interesting to follow and see unfolding across all the talks, presentations and discussions. In the future I would like to see more effort made by visiting Americans to make their work more relevant to the Brazilian context and to stop simply rehashing their research which is so strongly attached and relevant to the North American mindsets. I think that this overall theme, as I stated at the start, is a vital one for Brazil, and the afternoon showed that Brazil does have very many high level visionary thinkers and organisations who are both taking what is good from the US and Europe, but also moulding and adapting it for the leadership challenges found in this paradoxical and emerging country which has so much potential and so much to offer the rest of the world in terms of visionary and sustainable leadership for the new century.